We help Bowling Centers ﻿﻿find new﻿﻿ ﻿﻿leads﻿﻿ and turn them into ﻿raving repeat customers﻿ with our ﻿﻿done for you automated marketing system. ﻿﻿﻿﻿Let us transform your ﻿﻿﻿﻿﻿﻿﻿﻿website﻿, ﻿promotions﻿ & ﻿communications﻿﻿﻿﻿﻿﻿﻿﻿﻿ into a well-oiled ﻿Money Making Machine! We provide Email Newsletters, unlimited Email Marketing, Automated Follow-Up Sequences for all Data Collected, Party Follow Up Systems and More! Access to our Members Area Full Of Proven Tactics To Increase Your Revenues. You'll also get our League Program Templates & Open Play Promo Templates with all the graphics done for you! Bowling Leads Generates New Customers, Great Promotional Ideas & Great Service For Our Centers! Marketing your business in all the right ways in all the right places is very complex these days. As a very busy bowling proprietor it is difficult and time consuming to keep up with it all. 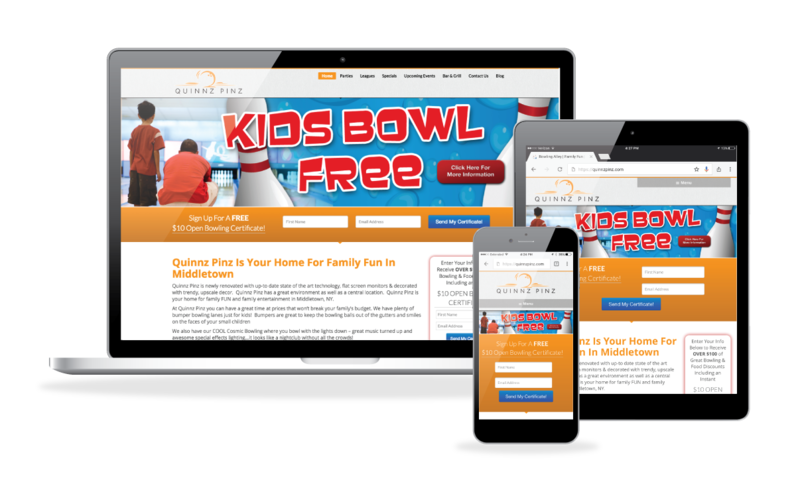 BowlingLeads.com has been a huge help in keeping our websites working and looking great, managing our leads and providing promotional ideas. I would highly recommend them to any bowling proprietor wanting to take their marketing to the next level. So you’re looking for a website…They aren’t all created equal. Many websites are designed by graphic artists working with limited knowledge of marketing and getting cash paying customers into your center. 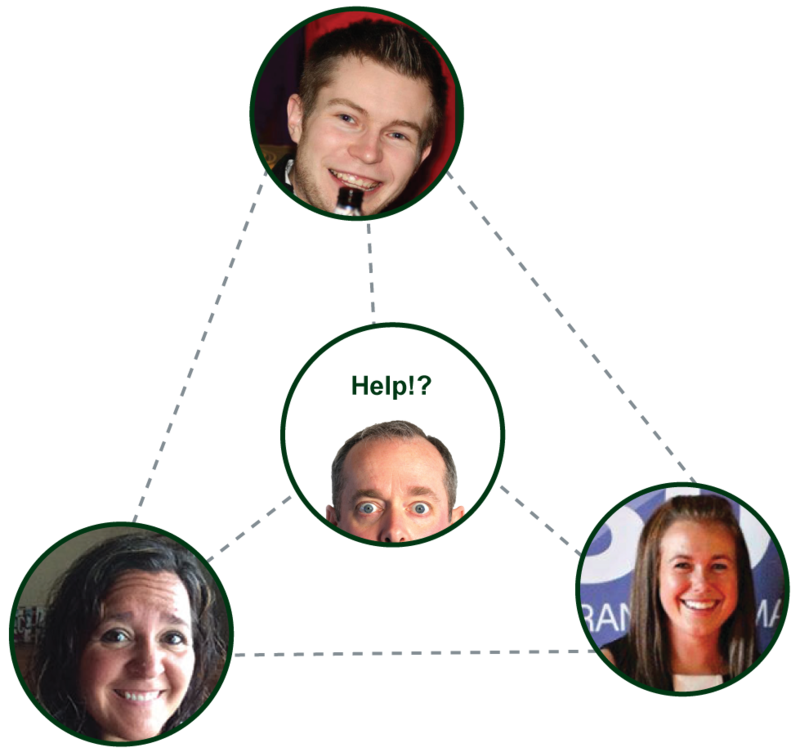 We’ve built our BowlingLeads.com marketing system to build your business! One tool that you’ll receive is a great website that is Search Engine Optimized to bring additional visitors to the site, then we have the proper tools in place to capture data from visitors to build your business with. Today’s consumer is more and more connected to the internet, it’s vital that you have a great web presence and it begins with a properly designed website. It should be both graphically appealing, yet set up properly to build your business. One without the other is like having a car but no gas. So you have a website that collects data, but what do you do with it? 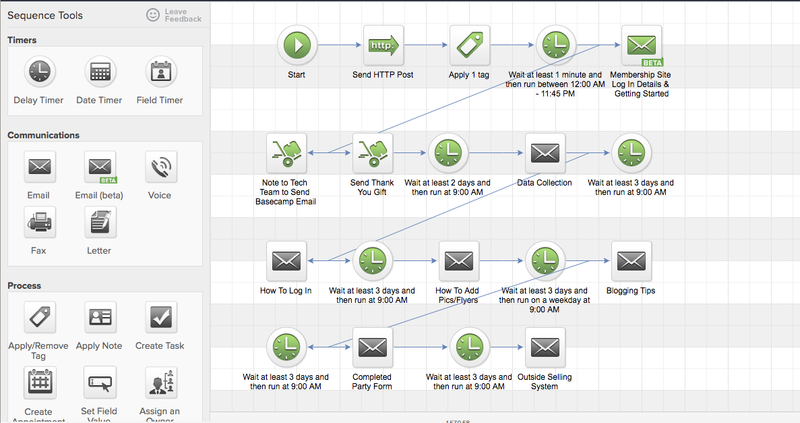 Our Automated Marketing System handles all of the data that is collected on your website. After they receive the initial welcome email, they are sent another customized offer every 21 days. We also automatically send birthday emails to your entire database. Centers also love our party follow-up sequence that sends out a series of emails for every event that you book with group count reminders, up-sells, and an after party thank you email. Besides the automated emails, we also automatically send a monthly newsletter to your entire database, and you have the ability to send an unlimited number of other emails. We can even create and design those too. A support team that's there for you 24/7 to get the job done...FAST! Whether you're looking for a quick change to your website or can't figure out how to sync your emails to your phone our support team is just a call or email away. Our support also includes email marketing design and creative services at no extra charge! At Bowling Leads we pride ourselves on being there for our members whenever we're needed. It is our goal to respond to every support ticket as soon as possible. Support is also available via phone and even text message! We analyze our support ticket responses on a monthly basis so we can be sure that we're providing the best support to our members. You can check out our actual support stats from last month below. 71% of tickets were handled within 1 hour. 85% within 2 hours! Book a demo using the calendar below!